Relax after a long day in this plush recliner for the perfect place to unwind. Pull the easy to use handle to put your legs up for the ultimate relaxing position to watch TV or read a book in. 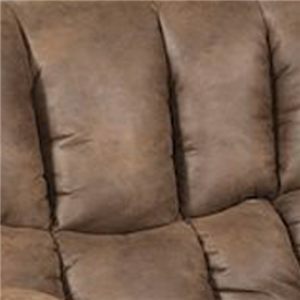 This amazingly comfortable recliner is available in in multiple colors so you can choose the one that suits your style. The overstuffed look of these recliners gives them a beautiful casual look that you will love in your home. Power reclining puts you in control of your own comfort. 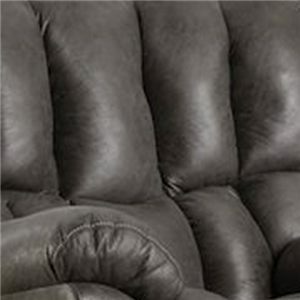 The 133-91 Casual Power Rocker Recliner with Overstuffed Biscuit Back Design by HomeStretch at Wilcox Furniture in the Corpus Christi, Kingsville, Calallen, Texas area. Product availability may vary. Contact us for the most current availability on this product. 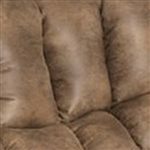 Add this plush, casual reclining living room collection to your home for a plush look that you are sure to love. Each piece has an overstuffed biscuit back design and pillow top arms for one of the most comfortable collections you have ever sat in. Gather you family and friends to watch the big game atop this plush, casual, collection for a look that is perfect for your living room. The 133-91 collection is a great option if you are looking for Casual furniture in the Corpus Christi, Kingsville, Calallen, Texas area. Browse other items in the 133-91 collection from Wilcox Furniture in the Corpus Christi, Kingsville, Calallen, Texas area.